The BeachMansion, aka The Leroy Fales House, is a multi-gabled, stone and shingle Newport-style English Medieval Tudor Revival mansion built in 1895. Situated in Barrington, Rhode Island, this unique beachfront mansion offers 9,000 square feet of living space. 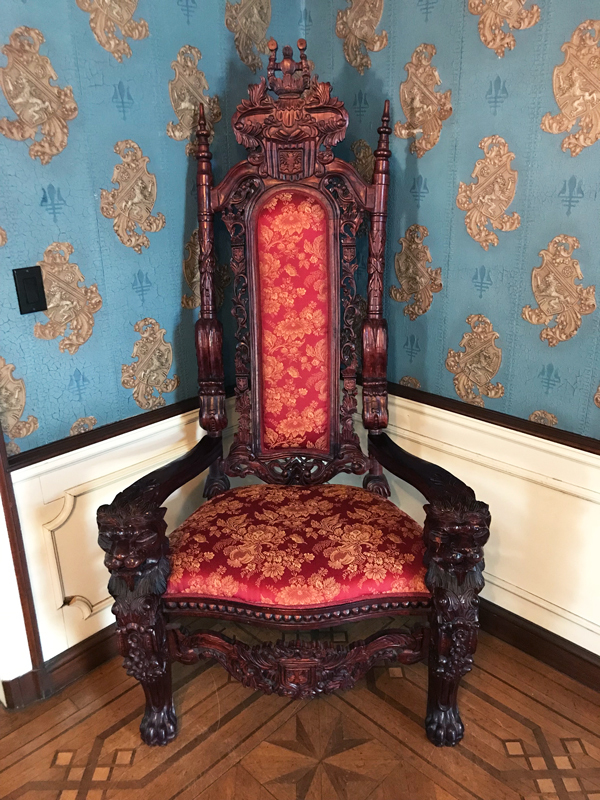 With original brass fixtures, mahogany details, ornate hardwood floors, hand-painted stained-glass windows, and leather-pressed wallpaper, the BeachMansion stays true to its gilded roots. Having 14 guest rooms and 20 beds, the BeachMansion is a cozy, family-friendly retreat. 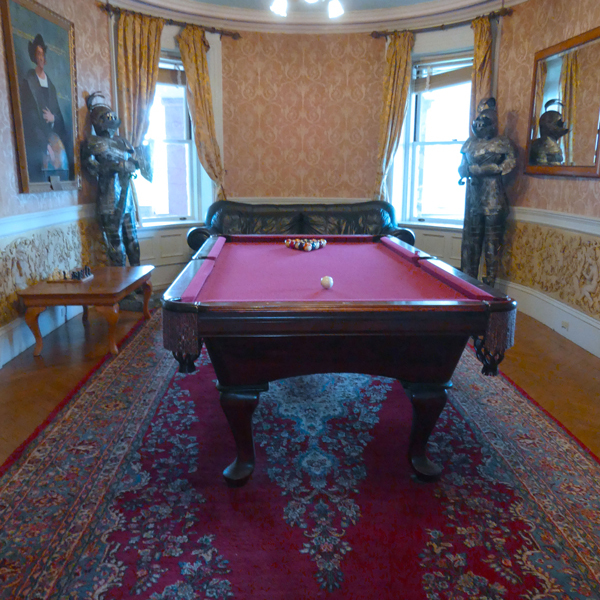 Guests are invited to enjoy the well-appointed sitting room, airy music salon, and lively billiard room. The fenced, private backyard features a pristine heated pool, large patio area, and shaded deck. The BeachMansion lives up to its reputation as a beachfront rental – sunny, exclusive Barrington Beach is just a thirty-second stroll from yard to sand. Two miles away, Barrington Town Center offers several restaurants, grocery stores, and other shops. Just a twenty-minute car-ride away, Providence offers world-renowned dining, shopping, theater, and nightlife. 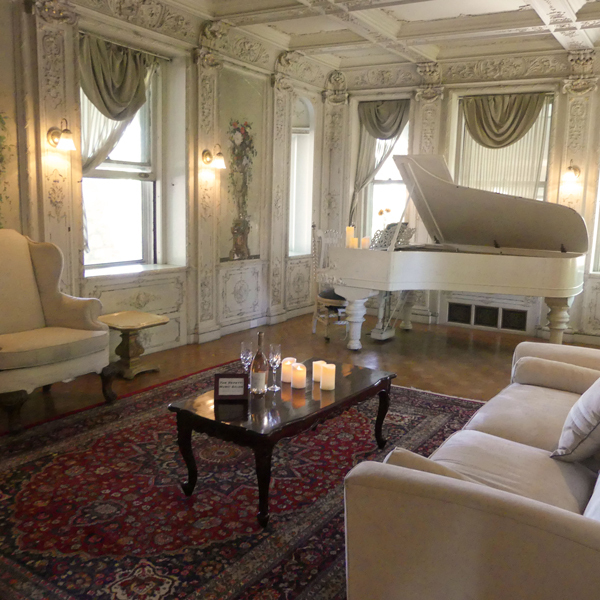 Forty minutes south, Colonially historic Newport offers sailing excursions, mansion tours, Jazz and Folk Festival concerts, the Tennis Hall of Fame, international polo matches, and a variety of other indoor and outdoor and activities. 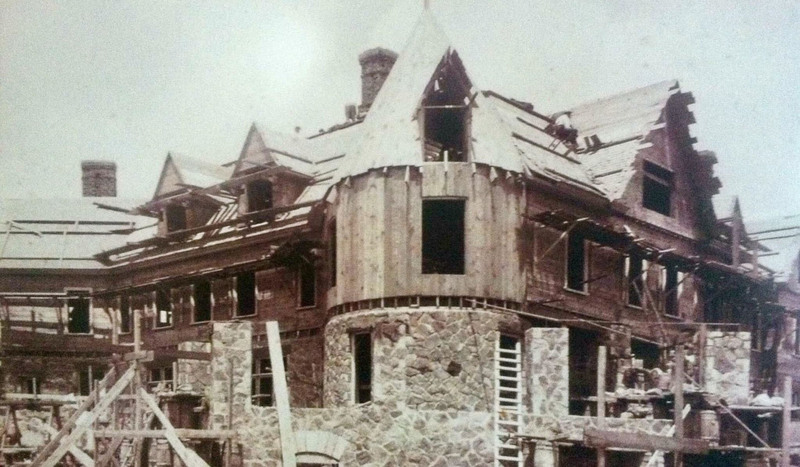 Some local publications have highlighted the BeachMansion as a historical Rhode Island landmark. In January of 2017, the Providence Journal featured the 39-room mansion in its Neighborhood of the Week article. The BeachMansion boasts a grand assortment of uniquely opulent rooms, each with its own style. Here are just a few rooms to highlight the BeachMansion’s unique personality. The Repetti Music Salon’s sheer luxury emirates from intricately-carved gilded walls and painted alcoves. It features gracefully curved windows with some bay views. It echos an era when music played in the home was the chief form of leisure-class entertainment. The original 1864 Steinway Grand Piano (excellent for pictures; too out-of-tune for music) is the centerpiece to this grand room. The Congressional Room envelops guests in nineteenth century atmosphere, complete with original hand-painted leather wallpaper, hand-painted ceiling, and stained glass windows. 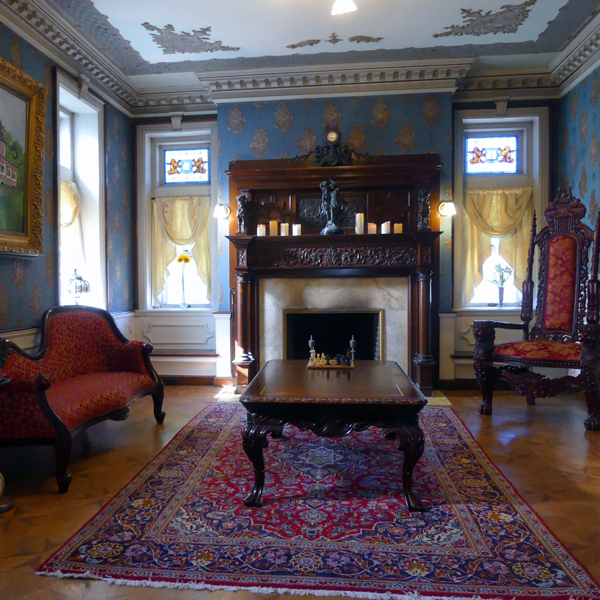 Guests can curl up on the window seat by the fireplace surrounded by a hand-carved mantlepiece. 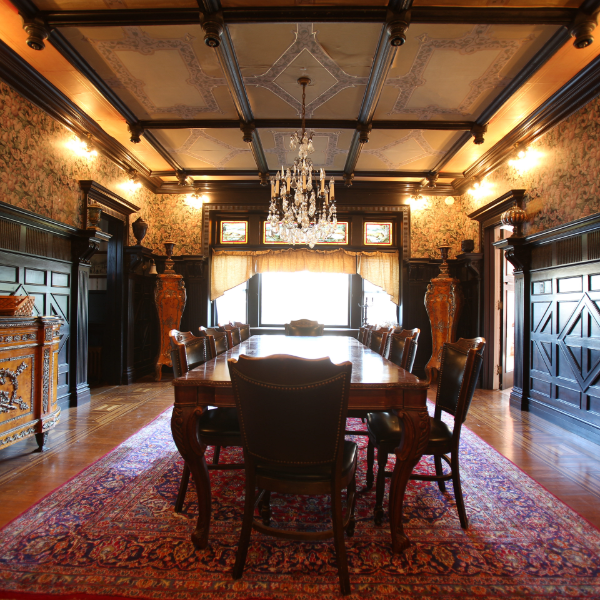 Cozy and cordial, the Congressional Room offers ample seating and period furniture among its gilded details. The BeachMansion Dining Room offers all the traditional luxury details such as solid mahogany walls and ceiling features, stained glass windows, original chandelier, marble-topped buffet, and matching six-foot, french pedestals. With an adjacent all-mahogany butler’s pantry, beautiful inlaid floor and century-old handmade wallpaper, it’s undoubtedly one of the finest private formal dining settings in New England. With ornately carved walls and an antique ceiling mural, the Billiard Room juxtaposes Victorian luxury with touches of modernity. Two armored knights watch you as you watch two televisions while playing billiards on a solid slate and wood billiard table. Catch the sporting event while creating your own memorable game with family and friends.